Affiliate Marketing For Small Business - Side Money? Affiliate Marketing For Small Companies – Is Affiliate Marketing Right for Your Business Model? For those of you who don’t know what affiliate marketing is – it is the process where a website redirects potential buyers from their website to a vendor’s in exchange for a commission or other compensation. Many website owners, especially bloggers can earn a significant income using affiliate marketing. 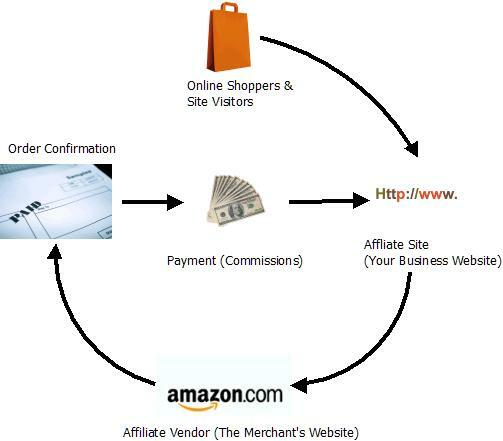 In fact some companies get their entire income from affiliate marketing. Affiliate marketing for small companies can be easy to set up since it only requires that you “cut and paste” a vendor’s link into an appropriate spot on your website. We’ve all visited sites where we have been bombarded and booby-trapped by various affiliate marketing links such as pop ups and mouse-overs (mouse-overs these are little ads that appear when you run your mouse across a specific word or link). Despite the junk websites or blogs, affiliate marketing is a legitimate business but should you as a small business owner, service professional or entrepreneur become involved in it? The answer is that depends. Certain promotional activities are frowned upon by various industries or professions. For example, it would be very difficult for an attorney to become an affiliate marketer for all but a small number of products. The same could be said for a doctor or psychiatrist. However few people would look down on a dentist who offered whitening kits or motorized toothbrushes on their website. A bookkeeper or accountant, barring any restrictions in their location could offer small business clients various bookkeeping forms, templates, or software. On the other hand if you are in skilled trade industry, you could create a “recommended products list” for the home do-it-yourselfer. For example, plumbers could have links on their sites that offer books, manuals or parts for common plumbing issues. A well-known restaurant chef could offer links to his favorite cutlery vendors or kitchenware manufacturers. A small business consultant could offer affiliate links to various books, courses and other educational materials that they have found helpful. Someone specializing in body massage could offer links to various topical rubs or ointments companies. As you can see selling affiliate products from your small business site may or may not be problematic. However if your profession or industry has no restrictions on this type of marketing, then you should look into it since it is a great way to create an additional income stream outside of your primary business.